Search Engine Optimization is an important part of every internet publisher today. WordPress, as an online publishing tool, is SEO-friendly by default. But to extend the functionality and to better optimize the site for search engines, many people use third-party SEO plugins. Yoast WordPress SEO plugin is one of the most popular SEO plugins for WordPress. 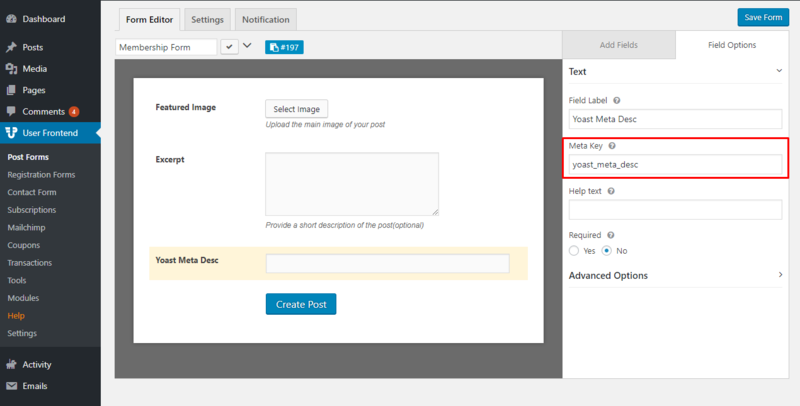 If you use Yoast WordPress SEO plugin on your WordPress, you can see SEO fields in your WordPress new post editor. 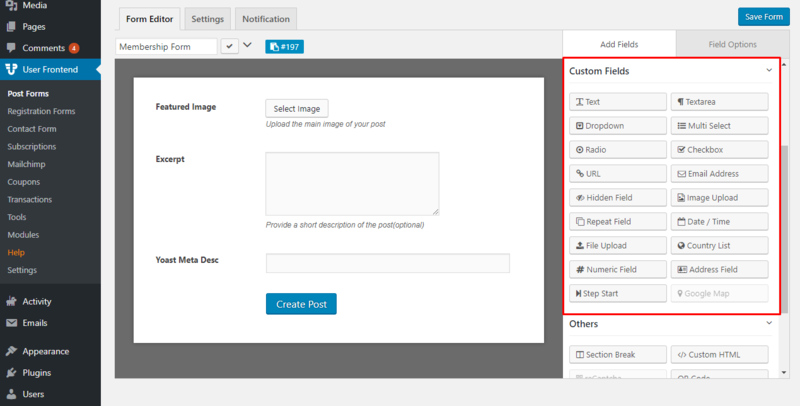 How do you enable those fields in your custom front-end post editing page created using WP User Frontend? The process involves using another plugin called Post Meta Inspector. 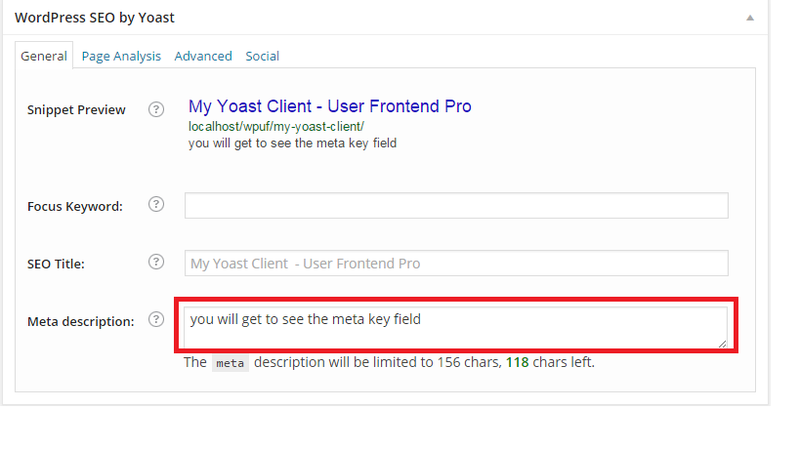 You can use this plugin to get meta key for Yoast WordPress SEO. Install Post Meta Inspector plugin from https://wordpress.org/plugins/post-meta-inspector/ and active the plugin. I assume you already know how to install plugin. After successfully installing and activating the plugin you will get to see a Post Meta Inspector section below in every post in post editing window. I guess you already know how to detect meta key from any post. If not please copy any meta key from the Meta Key section. Screenshot: Using Post Meta inspector to detect post meta. Make a Form with WP User Front-end from Custom Fields on the right side section of the screen. Click any fields from Custom Fields. You will see a blank form and type text in in the blank form fields. After submitting the form, post meta value will be submitted along with the post.. If you want to verify that everything is working correctly, simply open up the submitted post in WordPress dashboard and see whether the field marked with red in the screenshot below contains the post meta value submitted from the front-end. After completing all steps Yoast seo’s meta key can acess also value can be seen in the post.